Landmark recordings now available for the first time in a box: the only complete solo Bortkiewicz in a single volume. A composer-pianist after his time, Sergei Bortkiewicz (1877-1952) continued to write music in the post-Romantic Russian tradition well into the 20th century: based on Liszt and Chopin, influenced by Tchaikovsky and Russian folklore, and insulated from Modernism. 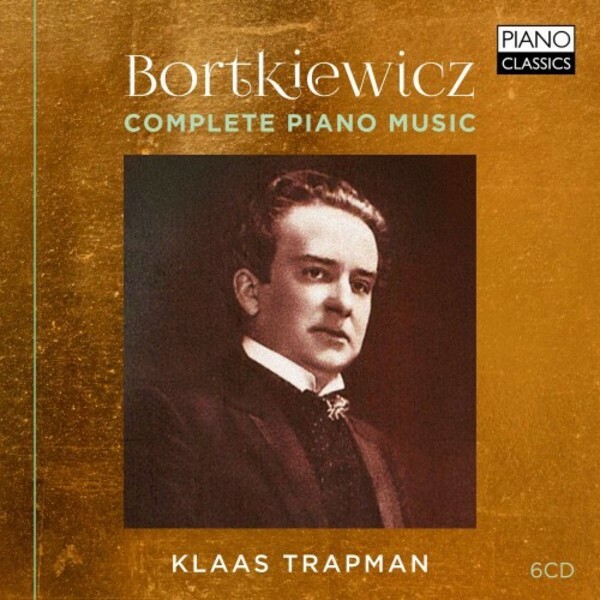 His craftsmanship was meticulous, his imagination colourful and sensitive, his piano writing as idiomatic as one would expect from a performer coached in the grand manner of 19th-century virtuosity. His voice is strongly established in even his early works: preludes, studies and ballades followed, as well as two grandiloquent sonatas.